SA Hunt does have a sense of the surreal, and he runs away with it. It depends on you as the reader, to read about this ‘book in a book’ and also to understand what he says because he is one who has a lot of thoughts and to put it all in this interview, he was nice enough. 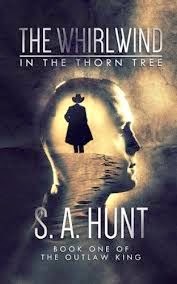 How did ‘The Whirlwind in the Thorn Tree’ happen? Well, I’ve wanted to write a novel all my life, but I was too busy trying to do what I thought I was supposed to be doing. I got married twice, got divorced twice. Joined the Army, went to Afghanistan. Worked at Taco Bell, worked in pest service, was a handyman at an apartment complex, worked in retail, did roofing. But I wasn’t as good at any of that as I am at writing. When I went to Afghanistan I realized that I don’t ever want to look death in the face again and wish I’d done what I wanted to do with my life. There’s a difference between what you should do and what you must do, and writing books is what I must do. What kind of research did you put into the writing of the book? Mostly research into western-period pistol - sixguns, rifles, ammunition types, that sort of thing. The rest of it, I just came up with off the top of my head. Much of the fantasy world in the series (“Destin”) is inspired by my experiences in Afghanistan. Riding through the desert, looking at that arid, unforgiving landscape, I realized that a place like that would make a fantastic setting for a Wild West fantasy story. How did you come up with the core idea and develop it? When I first started writing Whirlwind, it actually started off as a paranormal buddy comedy inspired by John Dies at the End, which is why it focuses so much on the main characters Ross and Sawyer. Then I realized where it was going—it was turning into a portal fantasy like Alice in Wonderland. I figured this was a fantastic time to bring in the desert-world western I’d been cooking up in the back of my mind, and it just kind of snowballed from there. And I pants everything (also called “discovery writing”, which basically means I just write without an outline and whatever happens to the characters is what goes in the book), so basically the way it all came together is that I just wrote until I got to a good stopping point (since it’s a series) and broke it off for book two. How would you relate the book and its characters to the lives today? The world of Destin, and in particular Ain, is a lot like the American wild west days—there wasn’t a lot of regard for the law like there is in contemporary America and Europe. One central theme to the first book in my series, The Whirlwind in the Thorn Tree, is the idea of scarcity. The level of technology is rather primitive in Ain—there are windmills and watermills for generating electric power and crude electric light bulbs, and of course there are firearms, but that’s about it. So the characters, especially the ones in the extracts of Ed Brigham’s novels, are forced to live in a manner much more austere than we’re accustomed to. And Ross, the protagonist of Whirlwind, understands the benefits of scarcity—when you don’t have steady access to modern creature comforts, even something as banal as fresh milk, they become much more valuable. The characters in the excerpts live in an even more lawless time than Whirlwind, subject to the whims of a corrupt and crumbling monarchy, so violent crime is an everyday part of life in Ed’s novels. The main arc of The Fiddle and the Fire is Normand Kaliburn’s accidental rise to power in his quest to take revenge on the villain Tem Lucas, and discover what Lucas and his own father were involved in that got his father killed. Along the way, a holy war arises from the ashes of a forgotten religion and Normand is forced to fight in order to survive. When the smoke clears, the army he rebuilt has made the land of Ain a safer place. What is the most fulfilling part of writing a book? To me, it’s a threefold satisfaction: there’s the relief that comes when you’ve finished writing for the day—and especially when you’re done with the book. There’s the fullness of seeing a character bloom on the page, like nurturing a seedling into a beautiful flower, and of seeing a story take shape and go places you didn’t expect. And then there’s the unbelievable feeling of being approached by a fan that wants to talk about your work...there’s nothing like it in all the world. You have put in a lot of topics such as fantasy, horror and science fiction, and even day to day lives in this book. How did you do it? I just throw in whatever I think of, honestly. My current series Outlaw King is basically just a soup of all the things I love, seasoned with what I hope are realistic characters people can empathize with. It’s hard to quantify or describe. Writing, for me, is a lot like a kid playing with action figures, only with an audience. And since I’m grown up, the action figures all have lives outside the sandbox too. Your third book is coming up. How do you expect to develop it? My second book, Law of the Wolf, came out on Christmas Eve 2013. I’m about 130,000 words into Volume 3 of the Outlaw King series...right now its codenamed Flight of the Brontide, but depending on how this volume finishes up, it will probably change. At this point, all I really need to do is write the last third of the book, and I have a pretty good idea how that’s going to go right now. I still need to do the cover for it too, but I’m going to wait until it’s finished so I’ll know what elements need to go into it. When do you see it released? Who was it that told you that you could become the author you are today? Me. That sounds flippant, but it’s the truth. Stephen King is my hero, and by proxy he showed me it was possible to crawl to freedom, but I’m the one that dug the hole behind my Rita Hayworth poster. I’ve had zero support from anybody in my offline life—and that’s in everything I have ever done or accomplished. Nobody came to my Basic Training graduation. Nobody was waiting when I came home from Afghanistan. And nobody cares that I’ve written books, so every last bit of my motivation is self-generated—and if you’re a writer and you’re in the same situation, just reach down deep and follow your dreams, because if you don’t, nobody will. Any advice to writers that would like to be published today? How tough is it to be published? I honestly have no advice to offer here. Writers blow up at me every time I give them advice—stalk me across the internet, cuss me out, tell me how much of an idiot I am, leave nasty reviews on my books. Even the polite ones pretty much ignore what I have to say even if they asked me for it. So from now on, guys, you do you and I’ll do me. If you still want to talk shop, you can hit me up at my Twitter or my Google+, but remember I don’t play nice with the mean kids. 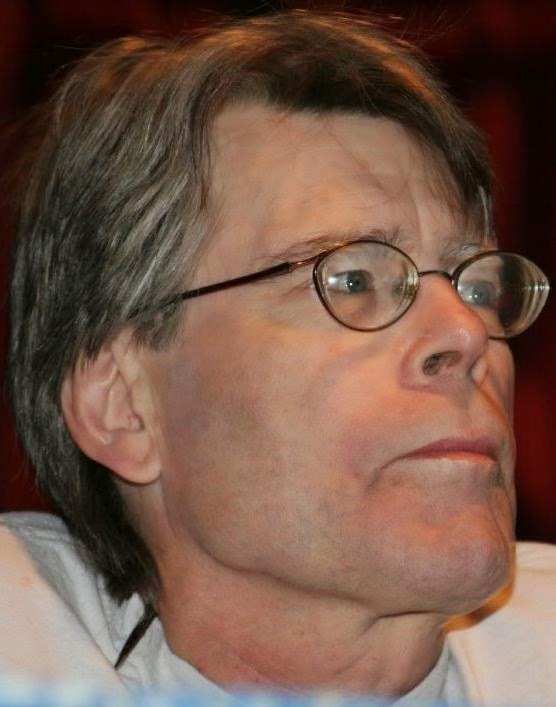 Stephen King – He’s a legend, and the author that taught me it’s possible for a Joe Schmoe from redneck country to make the bigtime. He’s also one of the biggest influences on my style as well as my writing process. George R. R. Martin – He can take the most cardboard of tropes and make it sing with characters that might as well be real people—so real, in fact, that I think he’s succeeded in creating deeper and more realistic characters than even the actual people on the Game of Thrones TV series. I am jealous of his lean, swift grammatical style and the fact that he can populate his world with so many rich characters and not even really keep a notebook on it all. A lot of the Game of Thrones information is all under that newsboy cap of his. Joe Hill – I think he’s got his dad’s talent and some to spare. Heart-Shaped Box, Horns, and NOS4A2 are horror masterpieces and 20th Century Ghosts contains some of the most original short stories on paper. He’s proof that Stephen’s genius wasn’t just a literary unicorn. 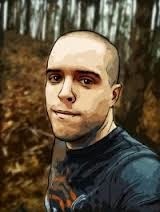 Christopher Ruz – Another indie author, this guy’s from Australia and a hell of a nice guy. Smart as a whip, too. I’m a huge fan of his David Lynch-inspired horror series Rust, which he is releasing in episodic increments as if it were a TV show—which I would totally watch if it was. Chuck Wendig – Chuck is a vivid personality with a fluid, detail-driven, cinematic style and strong, unexpected characters. I haven’t gotten too far into his back catalogue, but I’m looking forward to it. J.K.Rowling – I just about grew up on Harry Potter. Nuff said. Ian Baker – You can’t help but like a guy that went to Tibet to find Shangri-La, tangled with the Chinese Army, and trekked all over the Himalayas with mystic sherpas and a couple of good friends. Part Indiana Jones and part Jungle Book, his The Heart of the World: a Tibetan Journey is my favorite non-fiction book. 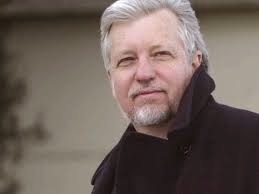 Dan Simmons – A legend in his own right, author of the amazing Hyperion Cantos, the best sci-fi series I’ve ever read in my life. He’s also a great suspense and horror author. The Reintegrators by Will Weisser. Could you tell the readers about your past experiences? Which one do you want to know about? I have so many. Feel free to come chat with me at my Facebook, I’ll tell you stories all day. Write and work on promoting my books and my brand, pretty much. I also read when I get the chance and I do cover art commissions on the side. I used to play video games on my downtime, but lately I work just about all day. Writing... Its Necessity. Its Importance.